Partner with us to advance a fresh vision for conservatism in the 21st century! Become a member of The American Conservative with a gift of $60 or more. 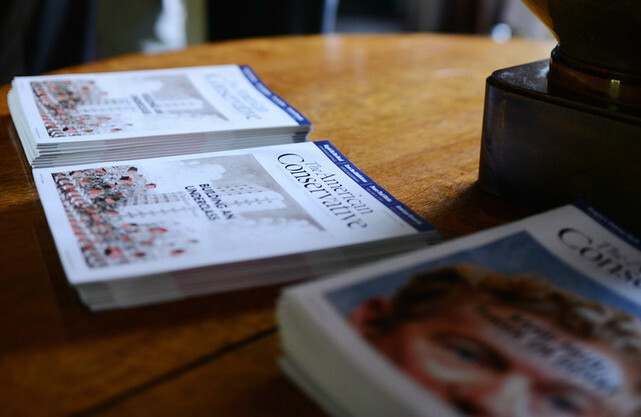 Join The American Conservative Publisher's Club with a gift of $500 or more, and receive a number of special benefits. Include The American Conservative in your planned or estate giving and become a member of our Edmund Burke Legacy Society. Give a gift of any amount towards our annual fund or become a sponsor of our annual foreign policy conference. If you would prefer to donate through PayPal, please click the PayPal button. You can also support The American Conservative with a monthly donation of as little as $5. The American Ideas Institute is a 501(c)(3) nonprofit organization that publishes The American Conservative and relies on the support of individuals like you. Make your tax-deductible gift today! [*] A red asterisk denotes a required field. Please enter your credit card billing address below. Get email updates from The American Conservative?